The skyscraper includes a shopping mall, a hotel and a bar offering drinkers a choice of 2,100 wines. 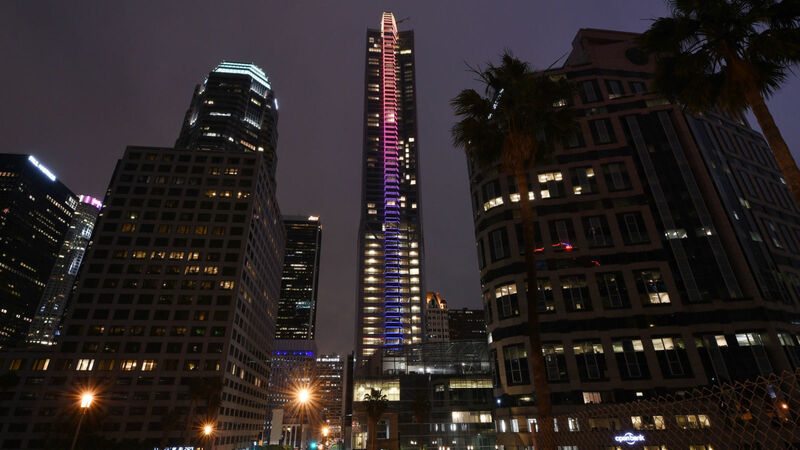 America's tallest building west of the Mississippi River has opened its doors in Los Angeles. The 73-storey Wilshire Grand Centre building has a huge spire that brings its height to 1,100 feet to top the nearby US Bank Tower by more than 80 feet. The Bank Tower had been LA's tallest building since 1989. The Wilshire Grand Centre's spine and sail have programmable LEDs that can provide colourful illumination and visuals. Ripples of rainbow illumination glowed and flowed all the way up the building's 73 storeys during its inaugural lighting. There is also around 350,000 square feet (32,516 square meters) of office space, a shopping mall and an observation deck. Restaurants include the open-air Spire 73 offering "chic fire pits" and signature cocktails, and La Boucherie with stratospheric steak prices and a wine list featuring 2,100 wines. 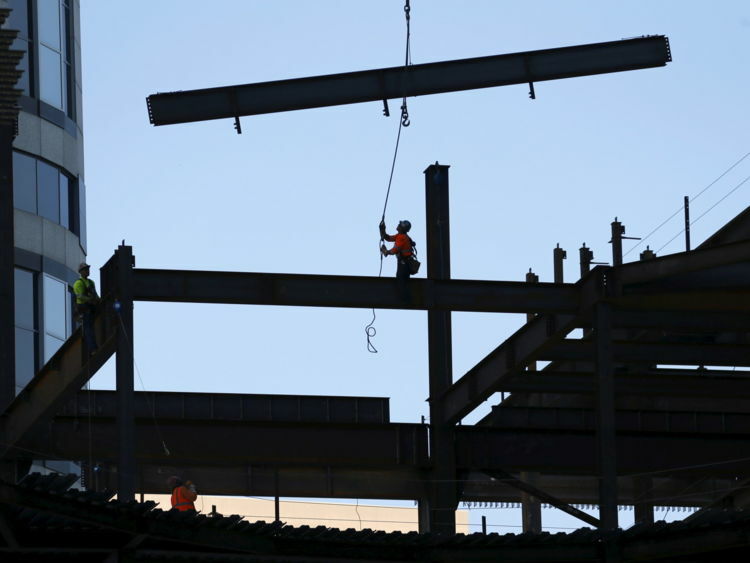 The building, located in LA's Financial District, cost about $1.2bn to build. 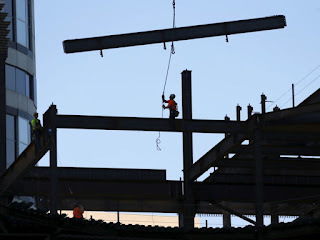 Construction began in 2014. The new skyscraper is still dwarfed by buildings on the US East Coast and overseas. In the US One World Trade Center is 1,776 feet tall, making it the sixth-largest completed building in the world. 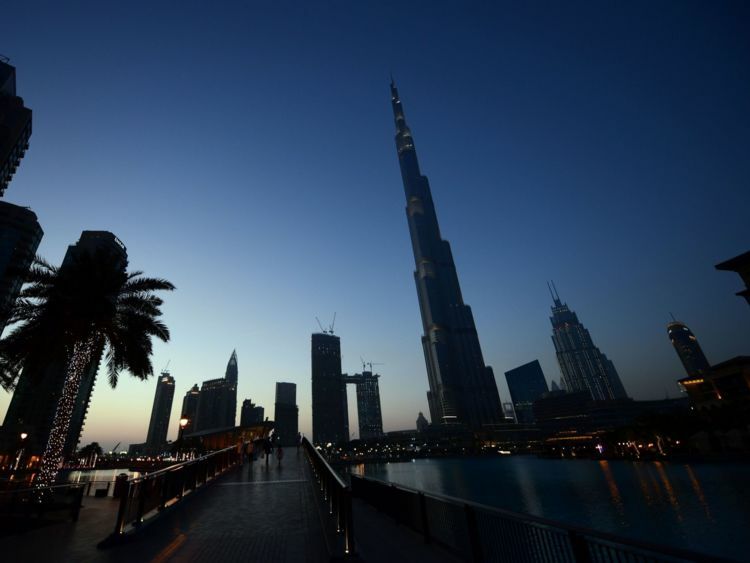 The Burj Khalifa in Dubai, rises 2,717 feet, or more than a half-mile high and is the world's tallest building.